Eating around the “World” might be tempting, but those snacks you grab during the day can add up. Skipping snacks is sure to make you cranky, though, so let’s focus on the ones that won’t weigh you down. One of the most popular treats, the Dole Whip, is actually not terrible for you at all. Coming in at under 100 calories, it’s a super alternative to an ice cream sundae, and it’s many guests’ favorite Disney food! 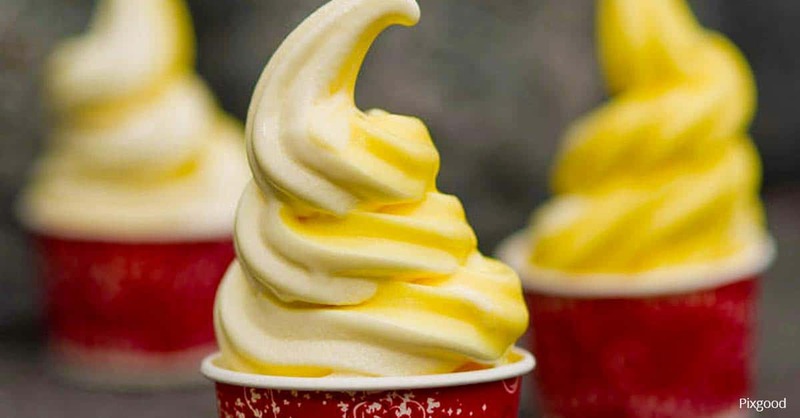 Skip the Dole Whip Float, though- all the added juice is higher in calories than the actual non-dairy soft serve. You can also find some fantastic snack spots that will offer fresh fruit, like Hollywood Studios’ Anaheim Produce or Animal Kingdom’s Harambe Market. Did you know you can also bring your own snacks into the parks? You may want to stash some protein bars or trail mix in your bag to help keep you sustained between meals. I wouldn’t advise you to “ban” a coveted snack; just be mindful in your eating, and make sure the calories you are consuming are worth it! 2. Make your dietary needs known.